in the grounds of 5 Blind Lane, Wirksworth. 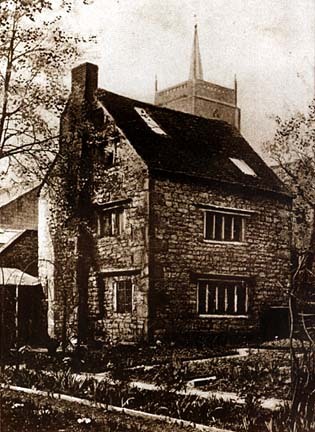 It was built about 1500 and the house was knocked down in 1957. This photo was taken in 1910. Said to be one of the earliest of its type in the country, but all that remains today are the stone steps that led to the first floor doorway. Behind is the tower and spire of St Mary's Parish Church.